Here we see ace reporter Brun Hilda interviewing the local commander of a colonial militia as his Sergeant Major looks on. The militia was preparing to defend a village against foreign invaders. The "militia" figures are from the Mercenaries range ("SGM" codes) by Ground Zero Games. 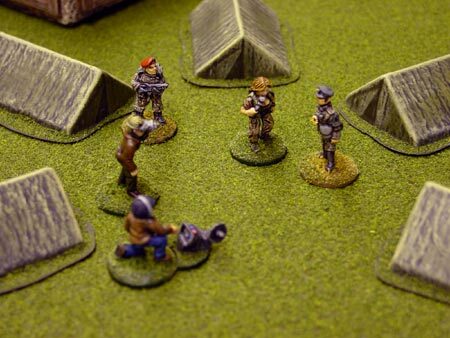 The tents are vacuum formed plastic, produced by the now-defunct GeoHex. Painting and modeling by Adrian. stargrunt.ca stargrunt.ca stargrunt.ca stargrunt.ca stargrunt.ca stargrunt.ca stargrunt.ca stargrunt.ca stargrunt.ca stargrunt.ca stargrunt.ca stargrunt.ca stargrunt.ca stargrunt.ca stargrunt.ca stargrunt.ca stargrunt.ca stargrunt.ca stargrunt.ca stargrunt.ca stargrunt.ca stargrunt.ca stargrunt.ca stargrunt.ca stargrunt.ca stargrunt.ca stargrunt.ca stargrunt.ca stargrunt.ca stargrunt.ca stargrunt.ca stargrunt.ca Copyright 2001 - 2006 by Adrian Johnson and Thomas Barclay.